Source: International Bottled Water Association. Alexandria, Virginia — On March 10, 2010, the International Bottled Water Association (IBWA) filed a lawsuit against Zero Water Technologies, LLC, the seller of at-home water filtration devices, for repeatedly engaging in false, misleading and unsubstantiated advertising designed to confuse consumers about its products and about how they compare to bottled water products. IBWA’s complaint, which was filed in the United States District Court for the Eastern District of Virginia, notes that Zero Water has improperly disparaged the quality, safety, and cost effectiveness of bottled water in comparison with its own products and has made false and unsubstantiated claims about the capabilities of its products. 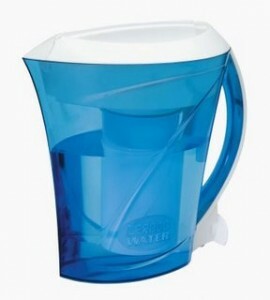 Contrary to their advertising claims, Zero Water filters do not remove all impurities or contaminants from water. Furthermore, Zero Water filters only remove certain organic contaminants for a short period of time before its low-capacity carbon filter is exhausted. Zero Water’s ads make repeated references to the Food and Drug Administration (FDA) and FDA definitions for purified water that mislead the consuming public into thinking that Zero Water and its products have been tested, regulated, or approved by the FDA. However, Zero Water’s products are not regulated by the FDA and there is no evidence to suggest that Zero Water’s products have been tested to determine whether they “meet the FDA definition for purified bottled water” as stated in Zero Water’s ads. Rather, water filtration systems such as Zero Water’s are for the most part unregulated. This leaves consumers particularly vulnerable to claims like the ones made by Zero Water: unsubstantiated, false, or misleading statements about the safety, health benefits, and taste qualities of water treated by at-home water filtration systems. In contrast to Zero Water’s claims, bottled water products sold by IBWA members and other bottled water companies are comprehensively regulated by the FDA to ensure their safety, quality, and proper labeling. Section 410 of the Federal Food, Drug, and Cosmetic Act (“FDCA”) requires that the FDA bottled water regulations be at least as stringent and protective of the public health as the federal Environmental Protection Agency requirements for municipal drinking water. In addition, the FDA mandates that bottled water products comply with comprehensive requirements, including Standard of Identity regulations, which provide uniform definitions for various types of bottled water (such as spring, distilled, mineral, and purified water), and Standards of Quality, which limit the amount of certain substances that can be present in bottled water products. In particular, the FDA Standards of Quality for bottled water set maximum allowable levels for physical, chemical, microbiological, and radiological contaminants. The cumulative effect of Zero Water’s misleading, false, and unsubstantiated claims in its advertisements is that consumers are deceived as to the quality and efficacy of Zero Water’s products, as well as the claimed superiority of Zero Water filtered water over bottled water products. Moreover, Zero Water misrepresents its products’ capabilities and makes misleading comparisons to purified bottled water products. As a result, IBWA members have been substantially harmed and this lawsuit was necessary to correct this untenable situation. Although I agree with the IBWA in terms of false and misleading statements that the Zero water company makes, the bottled water industry should talk!!! Look who’s calling the kettle black. They are one of the worst when it comes to “misleading” the public. How about the misleading labels on their bottles, with pictures of pristine water falls and streams, or the intentional obscuring to the fact of where the original source of the water being bottled came from? hmmmm? Thanks to a few really great environmentalists out there exposing the devious water bottle industry, and educating the public, folks are now learning the fact that most bottled water comes from a municipal source such as New York City tap water!? LOL… you just gotta laugh!